What to Make of the Trinity? How do you make sense of the Holy Trinity? It is a challenging doctrine of the Christian Church, and yet it has been strongly and consistently held since the birth of the Church. This is much more readable: http://www.allaboutgod.com/trinity-doctrine.htm. Though not by a Lutheran theologian, it is a relatively concise treatment of the topic. I hope this helps! Thank the Lord that He has revealed Himself to us as Father, Son & Holy Spirit. P.S. One of our congregants recommends this issue of the journal “Stand to Reason” dedicated to the topic of the Trinity: http://www.str.org/Media/Default/Publications/Solid%20Ground%2011-2015%20The%20Tirnity-1.pdf. Happy Reading! With Mother’s Day in May and Father’s Day coming up in June this is a good time to turn our thoughts toward home and family. In particular, the Christian home. 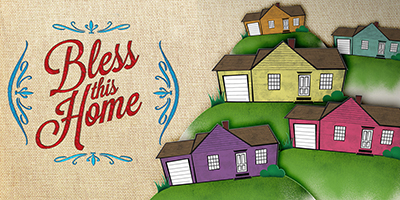 Our new Sunday messages series is called “Bless This Home” and will be looking at what it means to be a Christian family … not merely one who identifies Christianity as their faith (though that is important) but one who seeks to be a Christ-centered home. In order to consider what it means to have Christ at the center of our home, we will be looking at some of the Beatitudes. 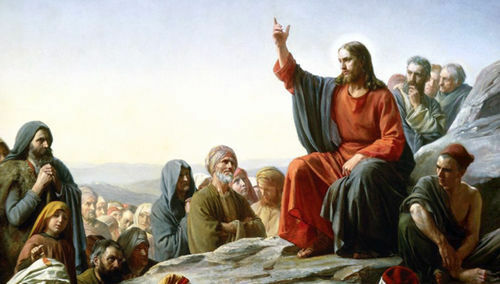 “The Beatitudes,” as they are called, begin what is known as The Sermon on the Mount – one of Jesus’ first recorded sermons (Matthew Chapters 5-7). They are a series of eight to ten blessings that describes for Jesus followers how life is different in the Kingdom of Heaven, rather than in the world. The word Beatitude itself come from a Latin word meaning “happiness.” In fact, what is often translated in our Bibles as “blessed” is really a word that could just as easily be translated as “happy.” However, in an effort to distinguish Christ-centered Joy from fleeting human happiness, the word blessed remains the preferable translation. But, we cannot deny that our search for a happy home, will only be fulfilled in the blessings and joy that come from our Father through Jesus Christ. In week 1, “Hunger and Thirst for Righteousness,” we will consider how our families today, while surrounded with so many amenities, so much food and so many opportunities for recreation, are still hungry at their core. What are they hungry for? And how will that hunger be satisfied? We know as Christ followers that everyone is hungry for a relationship with Jesus. May our homes be a place where we hunger and thirst for that. In week 2, “Pure in Heart,” we will talk about creating a culture of purity in our homes. Christ centered purity means having a heart that seeks with our whole heart and seeks to love our neighbor as ourselves. In so doing we not only desire not to harm our neighbor, but to lookout for their well-being. Our goal is to have our hearts and minds set on the things of God rather than the things of the world. In home, workplace and community we seek to live our lives with the highest degree of Integrity. In week 3, “Peacemakers,” we will consider that a Christ-centered home is not one where we merely “keep the peace” but strive to make peace. That means that we often have to run toward conflict rather than run away from it. That means that we need to speak the truth in love even when it hurts. And that means that we need to give and receive forgiveness readily and completely. And finally in week 4, “Persecuted,” we will recognize that as a Christ-centered family not only will we not be spared persecution, we can in fact expect it! Why? Because as Jesus told us, anyone that seeks to do His will, will also suffer persecution for His name. We learn from Jesus not to run from persecution but to endure it and even embrace it. Indeed, in that suffering we become like Christ Himself who endured the ultimate persecution for our sake and the sake of the whole world. At Redeemer by the Sea we have been talking more and more about being a lighthouse to our community by not staying within the confines of our congregation, but rather joining Christ in His mission to seek and save the lost in our community. If we are to do that well, we will need the foundation of a strong Christian home. We will not simply be able to claim that we are Christians, we will truly need to be Christ-centered disciples – seeking Him in our daily quiet time, humbling ourselves, enduring persecution, and seeking to bring the Peace of Christ into the turmoil of our world. In all this we are driven by a hunger and thirst for Righteousness! This is what compels us as Christians, and what will ultimately bring us the most Joy in our lives. What better purpose could there be? What better source of happiness could there be, than to be blessed by God as we live out our faith in our homes, our church and in our community. On this National Day of Prayer 2016, I want to encourage you to pray for our government leaders – national, state and local. Pray also for our citizens – that we be a people desiring God’s authority in our land. 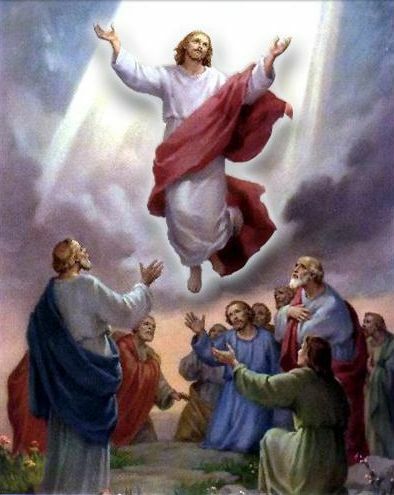 Note also that today is “Ascension Thursday” in the liturgical calendar of the Church. On this day, we remember that our Lord is not dead, nor is He “gone.” He has ascended – body, soul & spirit – in all His divinity and humanity – into heaven. As you are lifting your prayers to heaven today, and every day, remind yourselves that they do not fall on deaf ears… the same Lord Jesus Christ that has made it possible for you to have access to the Father in prayer, will one day return, setting all things right, and making all things new. May it be in HIS Name that you pray!